At All Out A/C & Heating, our company has developed a customized preventive maintenance program that addresses the problems we see most often in air conditioning and heating systems. Our professional service technicians are trained to service and repair your systems efficiently. This will eliminate problems and save you money. This program provides preventative maintenance services and is designed to reduce the possibility of an air conditioning or heating system break down and increase the life time of your equipment. With this program, you will receive two inspections each year. The annual cost for this program is $159.00 each system. NOTE – due to special pricing, our Preventive Maintenance agreement cannot be refunded. LIFE SPAN – Your system can last up to twice as long. It’s like getting TWO air conditioners and TWO furnaces for the price of one. 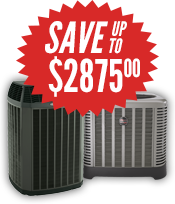 The annual service you receive can double the remaining life of your air conditioner and furnace. SAVE $ AND SAVE THE EARTH – Your savings on utility bills can easily pay for annual service. 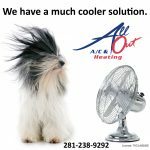 FEE-FREE GUARANTEE – We guarantee that if your furnace or air conditioner needs repairs while you are an “All Out Comfort Member”, the service call and diagnostics fee will be waived. ALL OUT CLIENT REWARDS – As an “All Out Comfort Member” , you enjoy special privileges. If you ever need service, you immediately go to the front of the line when setting your appointment, and receive a 10% discount off all services.